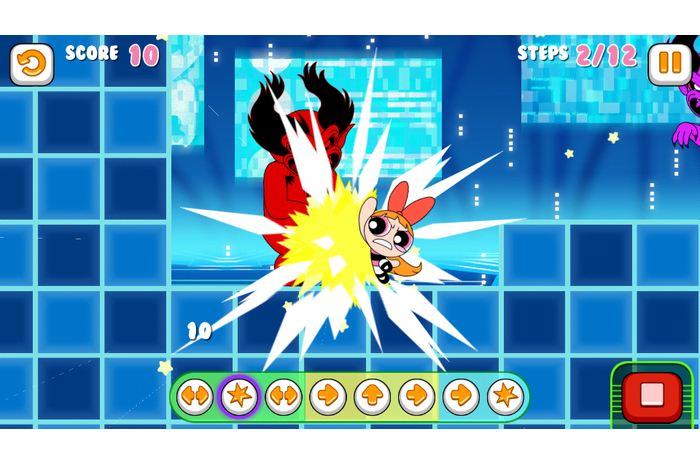 Events in the game Glitch Fixers: Powerpuff Girls develop in the vast World Wide Web. Amoebas Brothers decided to take this space and, therefore, was sent to a whole army of monsters and other unpleasant creatures. The main heroine just can not leave everything as it is and go to the interception and sweep. Two in the fight, one of the real-world coordinates. The enemy will soon regret their insidious plans. This is where it begins and the core gameplay. 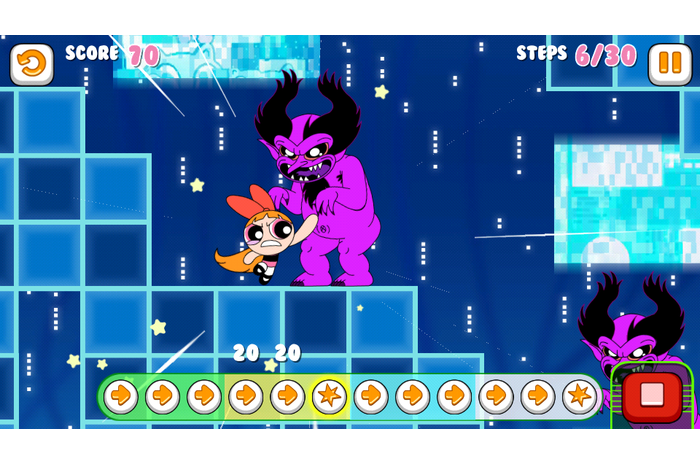 At each level, there are several enemies, as well as the complex architecture of squares and various dynamic objects. It should be up to the team long to get more points and not spend all available moves to get 3 stars. Just typing enough of them you can move to the next area.